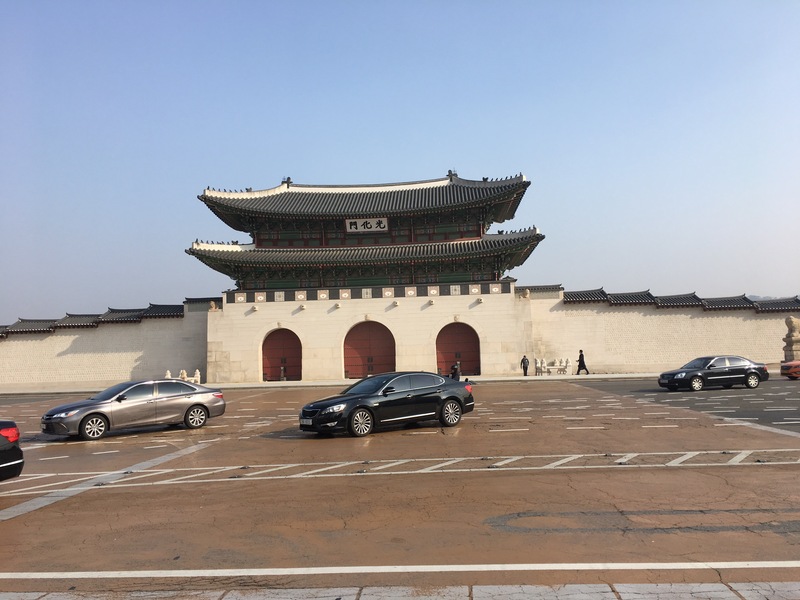 Day #1 Korea Trip #????…. Really I’m not sure what number trip we are on at this point. I’ve got 4 Korea stamps in my passport at this point so I guess it is Trip #4? (2 trips for Edric, one for Paxton last month and then this one?). Technically it is trip 2 for Paxton and trip 1 for Coppelia. Whatever. All I know is that I was on a plane for a VERY LONG TIME and now I’m here. We actually got in yesterday afternoon and after getting to our hotel (by the way it is WAY warmer here this trip) we headed out for some jajamyeong noodles at the place that we ate our last dinner at last trip. Then we decided to walk down to the river that was uncovered and re-discovered a few years back and has been turned into a walking path. At that point it was like 7PM and we were beat (we are such late night party animals) and so we headed back to our room and crashed. This morning we were up and going by 6AM and headed out for a run/walk. Part of it was a walk because I’m just getting over a nasty cold that I’ve been fighting for the past week. 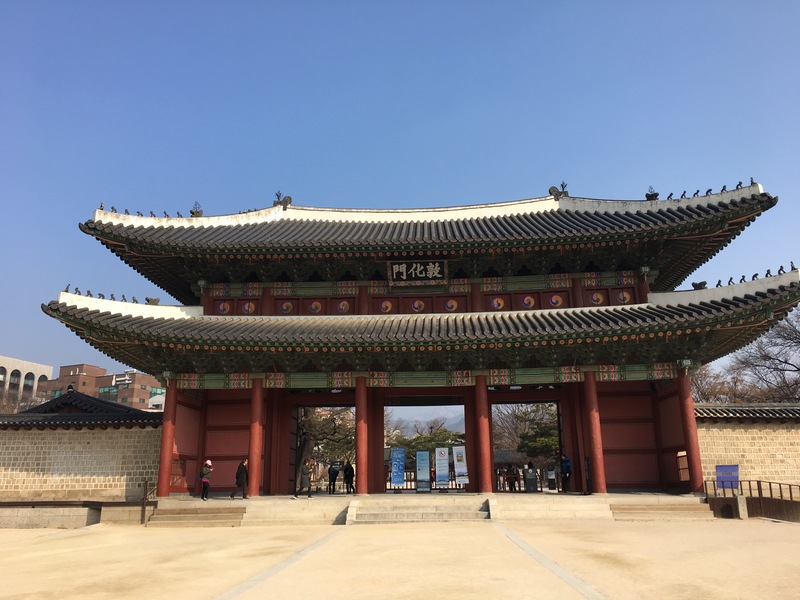 We ran along the river that was re-discovered (Cheonggyecheon) and then up to Gyeongbokgung Palace. After our run and breakfast at our hotel we got ready to go and headed out. We had a number of hours to kill before our meeting with Coppelia and decided to go walking. 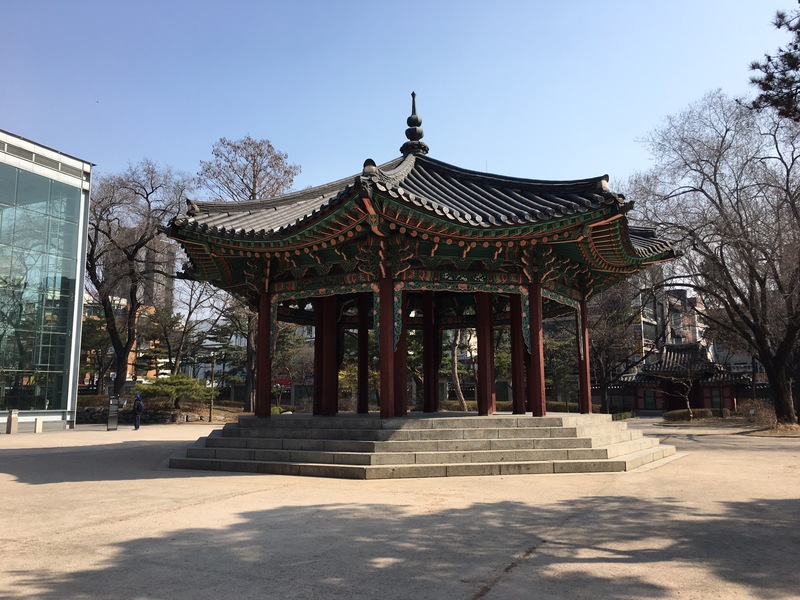 We started our walk headed out the same way we had run, up Cheonggyecheon and to Gyeongbokgung, At the big plaza in front of the G palace (I call it that because it’s much easier to say and type) we met a sweet family from St Louis who were out exploring. They decided to come to Korea for spring break, the mother was adopted from Korea a number of years ago and so she came with her husband and two daughters and her parents. We helped get them pointed in the right direction for where they were going and then continued our walk. 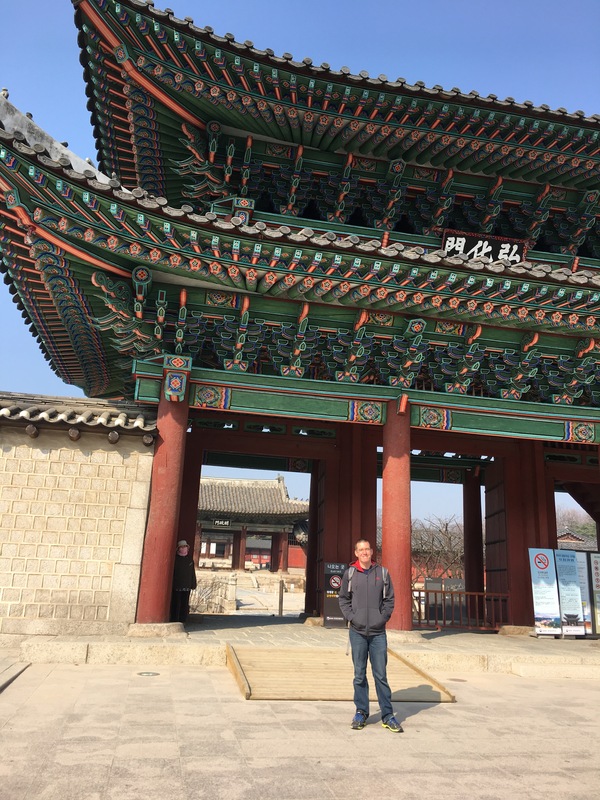 We headed up the road to Changdeokgung Palace and then farther up and around to Changgyeonggung Palace. We had never been to the second C Palace and it took me forever to realize that they were not the same thing. We didn’t go in any of them but posed in front and enjoyed the walk. 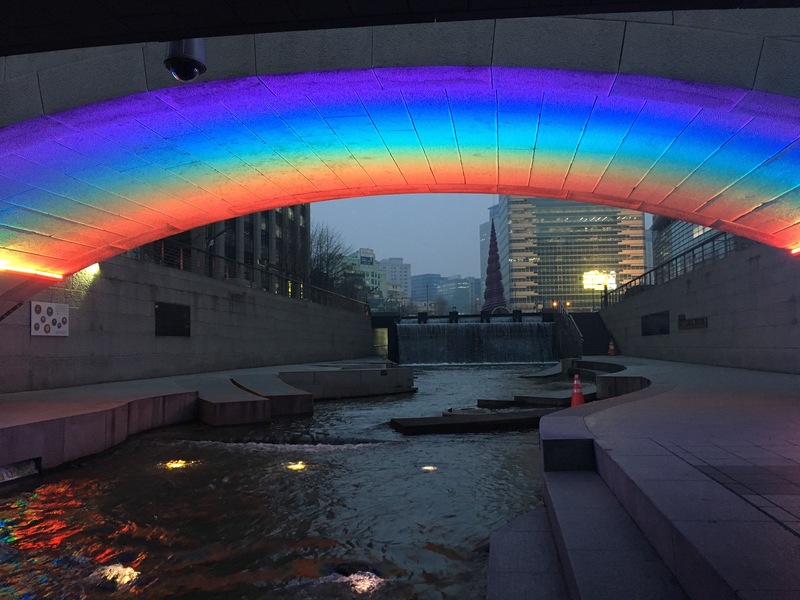 We then headed to Insadong, an artsy market that we spent a lot of time at during our adoption of Edric and his court trip 18 months ago. 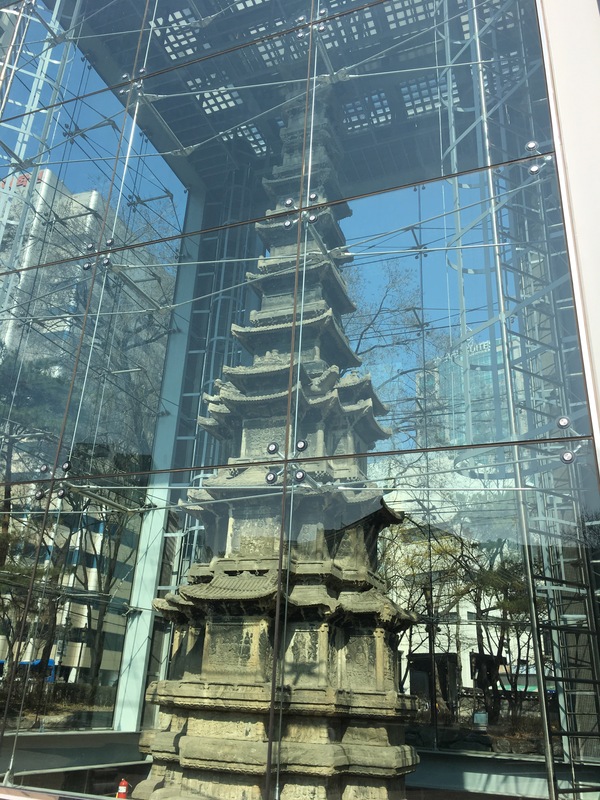 We clearly beat the morning rush to Insadong as it was 10:30 and the shops were just beginning to open. We wandered around and found a birthday gift for Clint’s mom and then explored Tapgol Park which has a Pagoda in it that was built in 1467. 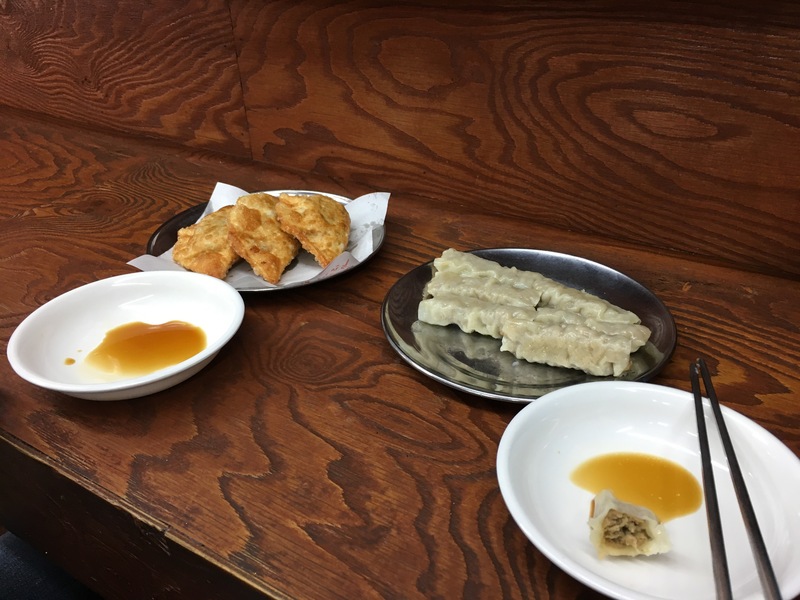 We found a yummy dumpling restaurant that had been recommended by other traveling families. We then completed the big loop and headed back to our hotel. We were to be at Coppelia’s agency at 1:20, and unlike the agency that both Paxton and Edric are with, for the first visit we actually go to the foster family’s house. We found out as we got in the taxi with the social worker (our first taxi ride ever in Seoul…yes we’ve made it four trips entirely on subway and one bus trip), that Coppelia’s foster family lives a good hour + away. 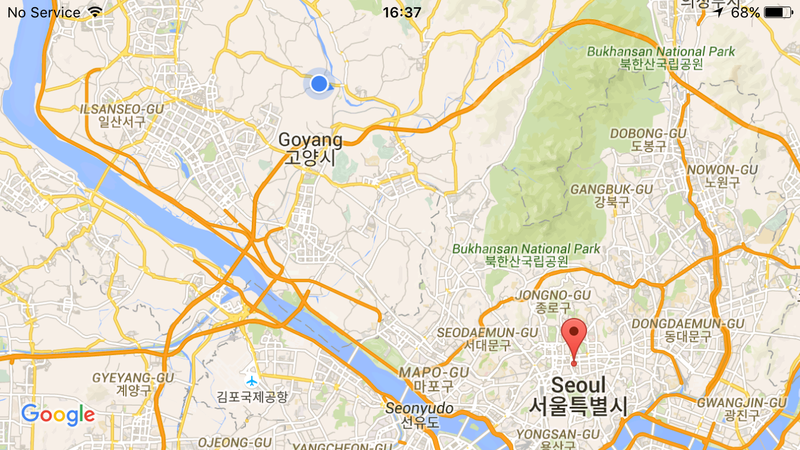 The blue dot on the map shows where it is at in relation to the rest of Seoul proper. We had a really good meeting. She was shy at first, but foster mom fixed all sorts of snacks and that helped break the ice. That and the bubbles that we brought. Bubbles are a good thing. Unfortunately I think we left them there so we might be missing them tomorrow when we have our other meeting….She even was laughing and more comfortable with us by the end. And I might be a bit biased but I think she is the cutest little girl I have ever seen. We ended up spending almost 2 hours with her. Next Post And Day #2 (And A Happy Birthday)….